A Facebook logo on an iPhone, November 20, 2017. Jaap Arriens/ Press Association. All rights reserved.The spirit of openness and collaboration that characterized the web's inception and growth are at risk. The feeling that the web is a catalyst of much needed social change seems demodé, at least in Europe and the US. Why were the Arab Spring, Occupy Wall Street, and the Spanish 15M movement hailed as the internet delivering on its promise, and the recent US election and Brexit seen as the internet delivering nightmares? What, if anything, has changed? This three-parts piece strives to provide a rough compass for those seeking to understand the underlying causes of much of what is problematic with the internet and the web today. I propose a framework to help us understand how best to tackle current issues often understood as unrelated (eg. net neutrality and fake news), as well as to anticipate issues yet to emerge. This piece calls for policy-makers, journalists and users to care and pay attention to the architecture of the internet and the web, and suggests this lens may offer a good way to understand many of the troubles public opinion seems to be concerned about today. 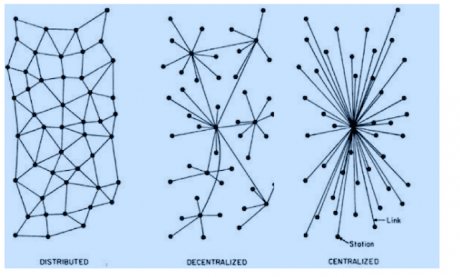 When the inter-net (network of networks) was designed, its decentralized architecture meant it didn’t have a single point of failure. If in 1969 the Stanford node collapsed, UCLA could still send a message to the University of California at Santa Barbara. None of the nodes was central. The bigger the internet grew, the more robust the network, and the greater the chances of getting a message successfully from one point to another. There was no central operating room, as with the telephone, with dozens of people connecting cables to enable a conversation. On the internet, each node helped route the pieces of the message to its destination. These architectural principles inspired and were upheld by Tim Berners-Lee when he designed the web, the content layer that sits on top of the internet. This decision meant that everyone on the network had an equal chance to speak, and that any and all websites could link to any and all websites. Under the assumption that information is power, the decentralized architecture triggered great expectations regarding the web's potential for social change and justice. When systematically excluded groups came online they suddenly could voice the thoughts that had previously been silenced or ignored by traditional brokers of communication, be they government or traditional mass media. These groups started telling each other their personal stories. It became evident that what many had privately thought were individual problems were actually systemic problems. These groups were able to discuss their past and present, and as they refined these conversations into a common identity they were also able to think collectively about the common future they envisioned for themselves as a group. The web reduced the costs for these individuals to find each other and coordinate activities to make this common future materialize. And thus, over the last decade, dozens if not hundreds of grassroots movements have sprung up. It was internet spring. Everything and anything seemed possible. Today that feeling seems to have faded. Why? Pointing the finger to a single cause is a reductionist approach that works well for clickbait news but leads us astray. Some concerns require digital policy, many others require social policy changes. Below are some initial thoughts on the dimensions that intersect in what is lazily often presented as The Internet’s problem. Isolating the effect of each is a difficult if not impossible task. Yet understanding them as separate variables helps us understand the need to tackle each of the issues separately, and more effectively. -->Societal problems become visible because of the web: The web often mirrors societal problems such as exclusion and inequality. As internet penetration grows and more people on the margins of society get online, certain tensions and contradictions that are silenced or ignored in physical space (e.g. through gentrification, corporate control of media, etc.) become more visible, given the internet’s power to collapse the space that separates people. Therefore there is a set of social problems that are not created by the internet and the web, but made visible by them. These require a broad policy approach that supersedes what can be tackled by those of us working on digital policies. -->Societal issues become quantifiable because of the web: The internet has enabled the creation of large and easily accessible structured data about our societies. These data, in turn, enabled an explosion of quantitative research that often sheds light on problems, and shows statistical associations that are compelling, yet often poorly explained. Given the lack of comparable data from pre-internet era, some of these studies are actually incapable of providing a baseline or counter-factual that can show the extent to which the identified problems (eg. fake news, [online] violence) were in any way caused or made worse by the internet, and not merely imported to the internet. 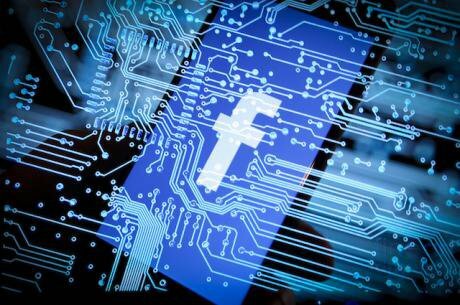 In many cases it seems like we are killing the messenger by blaming the internet for helping us see our problems, often causing digital platforms to limit the amount of information they make accessible to independent researchers as a result. -->Societal issues are caused by internet platforms: These include design fails that might generate harm to users at large; design fails that specifically affect certain minority or otherwise excluded groups; the embedding of a bad incentive structure that triggers negative consequences both directly or as a result of unforeseen and emergent properties of the ecosystem it enabled (eg. click-based revenue models spurring click-bait and fake news). Most public attention has been focused on this area. The narrow focus has meant that issues that overlap and underlie these are not discussed. It is important to stress that online platforms have often underplayed their impact, responsibility, and their capacity to deal with the harm they generate. Nevertheless, because each issue requires context specific solutions, this set of articles will not strive to deal with all of them at once, but focus on an underlying cause which explains why these platforms have become so problematic: centralization. -->Internet platform issues are magnified due to centralization: The internet was designed as a decentralized system. There were no central brokers deciding who could say what, and what information could or should travel through. Things could go wrong on both layers (internet and web), and given the open architecture, they often did and still do. Releasing a product or service quickly, identifying problems based on user experience, and iterating, became a mantra amongst programmers and entrepreneurs. In a decentralized architecture the problems have a local impact which can quickly be neutralized. Therefore – overall – we were happy with the risk-taking ethos of internet entrepreneurs. It enabled experimentation and innovation. The context has changed. Over the past 5 years Google and Facebook alone have crept from managing less than 50% of the traffic to top web publishers, to 75% today. As the ongoing centralization process redesigns the architecture of our most important medium of communication, we are increasingly seeing that design fails, the gaming of a platform’s rules, or even unforeseeable glitches, can lead to widespread and catastrophic consequences. Many today express their concerns about the impact the internet and the web have on political systems given the ease with which fake news can spread. These issues have always existed, but what is becoming evident is that with centralization these problems are becoming bigger. As a handful of companies take over the role of information brokers, we are slowly building the single-point of failure the decentralized architecture sought to avoid. The next two pieces will narrow in on how the centralization process takes place, and how we should work towards re-decentralizing the web.